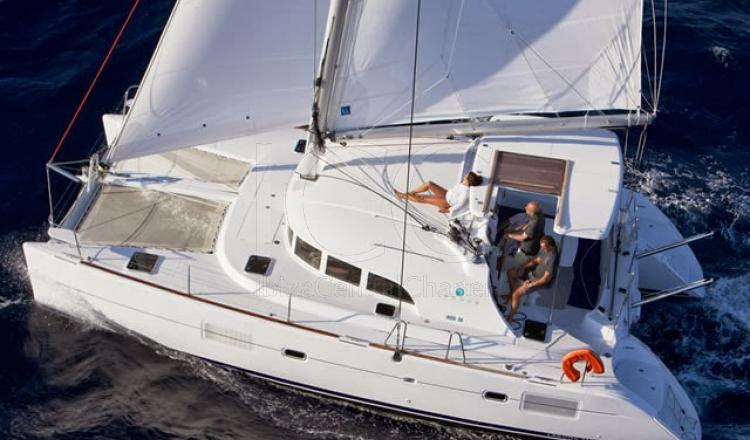 Year of launch 2014, Lagoon 380 combines exceptional comfort with commendable performance. 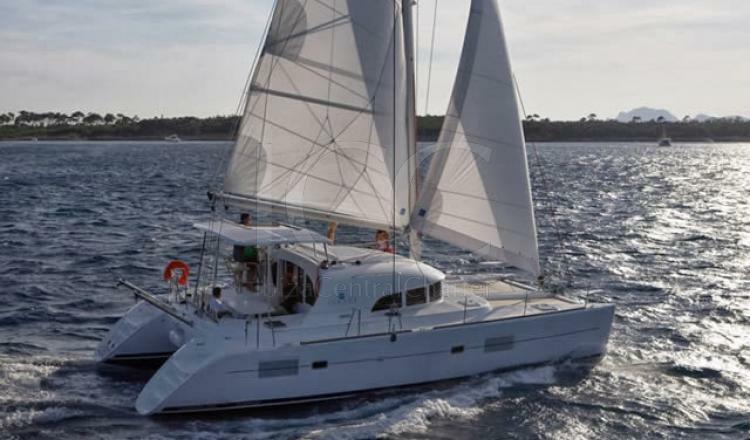 The Lagoon 380 is a spectacular catamaran of almost 12 meters in length with capacity for 10 people to enjoy on board while sailing in the Mediterranean Sea. 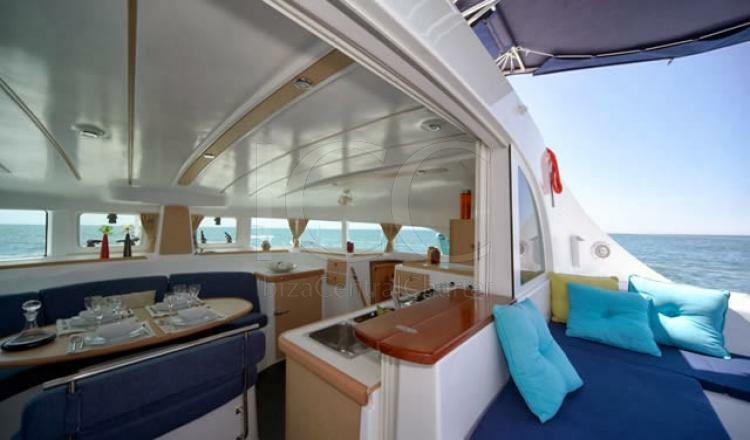 It is equipped with all the necessary amenities to relax on your holidays and enjoy the experience with your family or friends. 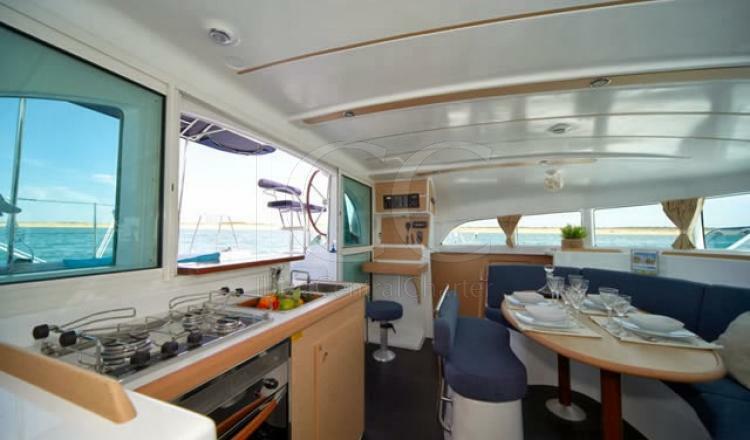 In the interior you have a fully equipped kitchen that allows you to cook on board thanks to its gas hobs and its oven. 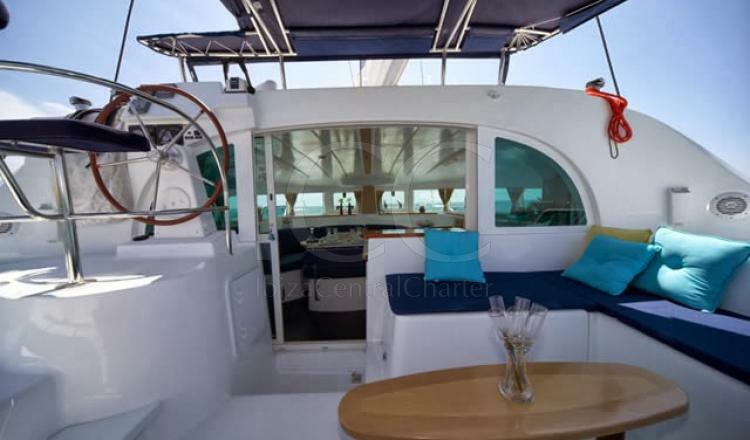 In addition to a living/dining room with a convertible sofa bed and large windows that offer 360º panoramic views so that we do not miss at any time the beautiful views of the turquoise waters of the Pitiusas Islands. 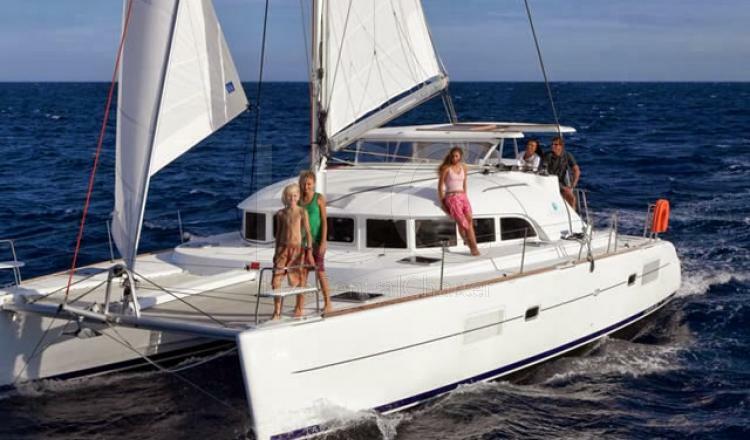 This catamaran offers 4 double cabins and 2 bunk beds in the forepeak destined for the skipper and stewardess along with two individual bathrooms. 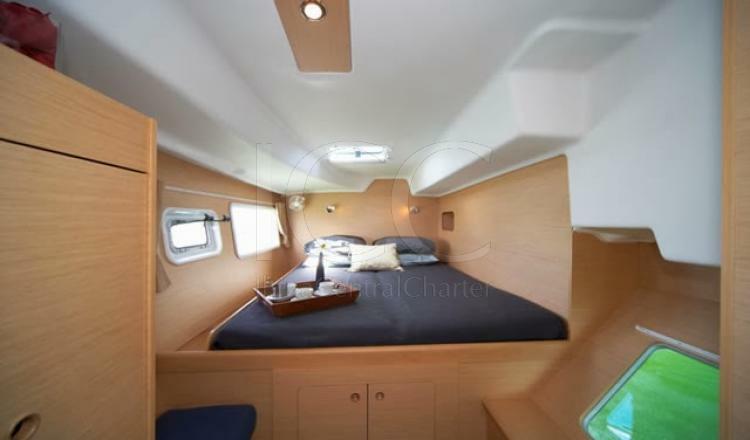 Its cover is spacious and has three areas to relax. 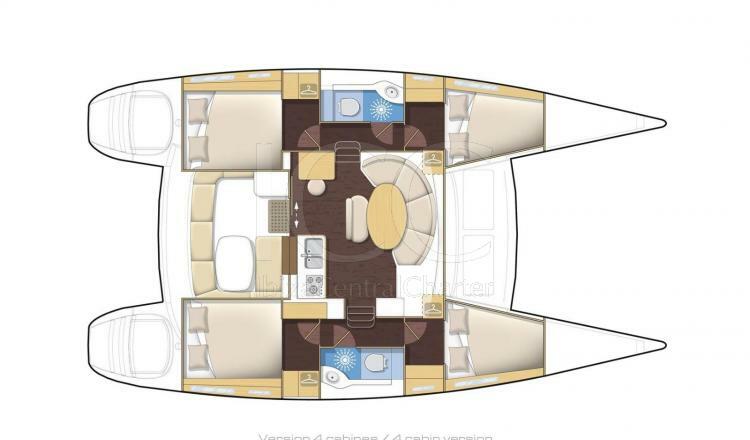 In the bow there is a wide network to lie down and tan skin on the waves of the sea, a spacious dinette aft with outdoor table to regain strength with a snack and enjoy the views that the islands of Ibiza and Formentera give us and a flybridge which can be used as an additional solarium. In the aft area there are two bathing stairs that facilitate access to the water when it comes to freshen up. 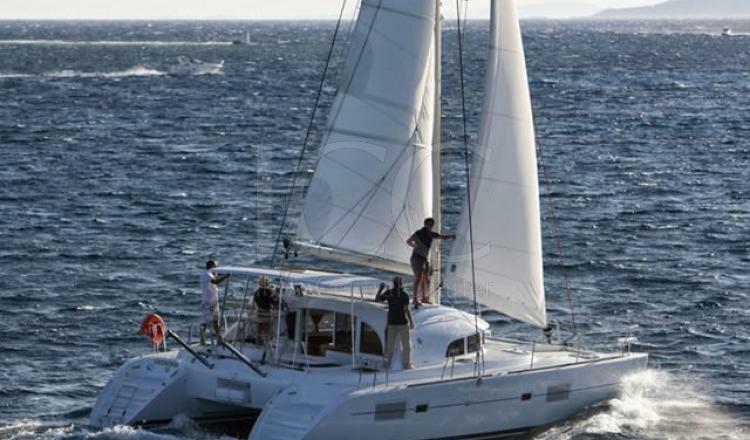 The Lagoon 380 is fast and offers good navigation. In addition, it has a salt water treatment plant that, together with its large capacity tanks (200l gas oil, 600l water) avoids having to go to the port to refuel. 50% by booking in advance by bank transfer, 50% one month before boarding. 40% - if made between 30 and 60 days before boarding. 50% - if made between 30 and 15 days before boarding.